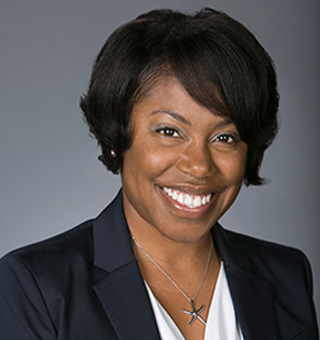 Vesatee Merkerson is Director of Legal Operations at Patrick Law Group, and has over 10 years of Executive Assistant and Project Management experience. Prior to joining Patrick Law Group, she served as Sr. Project Manager and Executive Assistant to the President of Mosiaca Education, Inc. Over the span of her 10+ year career she has implemented many new administrative processes, facilitated marketing and business development activities and initiated and developed client and vendor relations. Vesatee has managed an office of 20+ employees including on-boarding new hires, benefits and enrollment, supply inventory and guest services. Her experience includes planning and managing marketing events on behalf of corporate business development and on behalf of 40 international and domestic charter schools. She also served as a business development liaison for Chinese opportunities including attending overseas conferences and events. During her tenure at Mosaica Education, Inc. Vesatee was instrumental in developing a comprehensive monthly reporting process for School Boards of Directors to stay apprised of Mosaica Management services. Vesatee also developed an intuitive expense management and reporting process during her employment at both Mosaica Education and For Momentum, LLC. Vesatee has vast experience supporting Senior Executives in both corporate and small firms and has developed an amazing ability to coordinate and juggle schedules and deadlines while organizing meetings and travel accordingly. She has also gained tons of marketing experience in the writing and distribution of corporate communications for over 1800 employees worldwide. Vesatee, who has a background in Paralegal, began her career as a Customer Logistics Liaison and Project Manager for Ryder Logistics where she eventually moved into a domestic and international training role. After 7 years, Vesatee decided on a career path lending to Executive Support at a small marketing firm in Atlanta. Ten years later, she is excited to still serve this role while also balancing weekly volunteer work for the small Atlanta Chinese community.